#KhabarLive tells stories no one else is willing to tell. What makes us different is quite simply our FOMO (for the uninitiated non-millennial, that’s our news-hungry fear of missing out). Millennials are defined by a hunger to know and have it all, and that’s what KhabarLive strives to appease through its unbiased looking glass. In the process, it constantly questions status quo, sparking relevant conversations along the way. Our team is a collective of newshounds, maverick story tellers, editors, producers, designers, analysts and reporters who have cut their teeth on the best news teams in the country. We make sense of the systematic chaos that is the world today and seek to bring you the story, however you want it – on your phone through videos, op-eds, infographics, animations and documentaries. We want to take news out of the newsroom. Help us Unscrew the World. Seen or heard something that you think makes for a good story? We’d love to tell it. 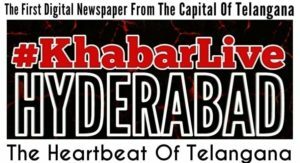 You can pitch your story ideas, photos and submissions at editor@hydnews.net. Someone in our team, particularly versed in that subject, will get back to you pronto! Something’s not right in the news space equilibrium? We’ll rant about it! Our team of sassy, spunky reporters will take to text/video to rage about anything that fires them up – sexism, racism, homophobia – anything that truly gets their goat. When it comes to videos, our love will range from quickies to longer formats. KhabarLive series of documentaries takes up a subject that requires particularly more attention, investigation and in-depth analysis than the regular short video. From a ‘Dalit army’ to a female wrestler, we’re always on the prowl. Love movies, books, theatre, television soaps – the whole hog of cultural media? Hey, we do too! That’s why we’ve dedicated a whole special section to reviewing the best and worst on offer – both in text form and our cheeky videos. Something’s flying off the charts, and you’re not entirely sure why? Think you know the tip of the iceberg but pura maajra samajh mein nahi aaya? We’ve got your back. Our Explainers aim to dig deeper into an issue and break it down for you, through lucid text, charts and videos. Drop a mail at ads@hydnews.net and we will get back to you soon. Ours is a happy-noisy family of intelligent and creative people who love challenges and rigour, and find great joy and pride in their work. The crew comes from backgrounds as diverse as economics, literature, technology, photography, sports, activism, and more. We have a range of roles at KhabarLive, from English, Telugu and Urdu journalists, camerapersons and VT editors, to creative whisperers, crappy copy killers, design romancers, social mediaholics, product evangelists, and video producers. Things are a lot more normal on the business side of things, and we have roles in sales and marketing, brand solutions, analytics, alliances and ad ops. If there are multiple things you can do, then roses are red, violets are blue, we love you. Bong applicants may please note that since everybody doesn’t understand Telugu, English is the preferred mode of communication at KhabarLive. Urdu is occasionally used for emphasis. We are all passionate about what we do, and we are all passionate about the Net and all that it has to offer. Which includes you. Oh, almost forgot — we have some very cool Macs. And eats. And air-conditioning and high-speed internet without firewalls. If you get how we roll and want to hop on for a ride, drop us a line at jobs hydnews.net.